François and Sarah was at the San Diego Comic-Con yesterday and tried out the Midnight, Texas experience that NBC has set up at the convention. Check out 5 high-quality photos in our gallery, and also visit the show’s Instagram page for more! You can find the Midnight, Texas place outside the Tin Fish Restaurant at Gaslamp Square. Calling all outsiders! 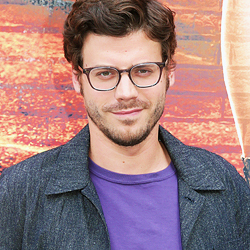 Join @francoisarnaud and @saraheramos at the #MidnightTexas @comic_con activation outside Tin Fish Restaurant at Gaslamp Square! #SDCC2017 ????✨??? ?